You know the people in your life who absolutely LOVE PIZZA! 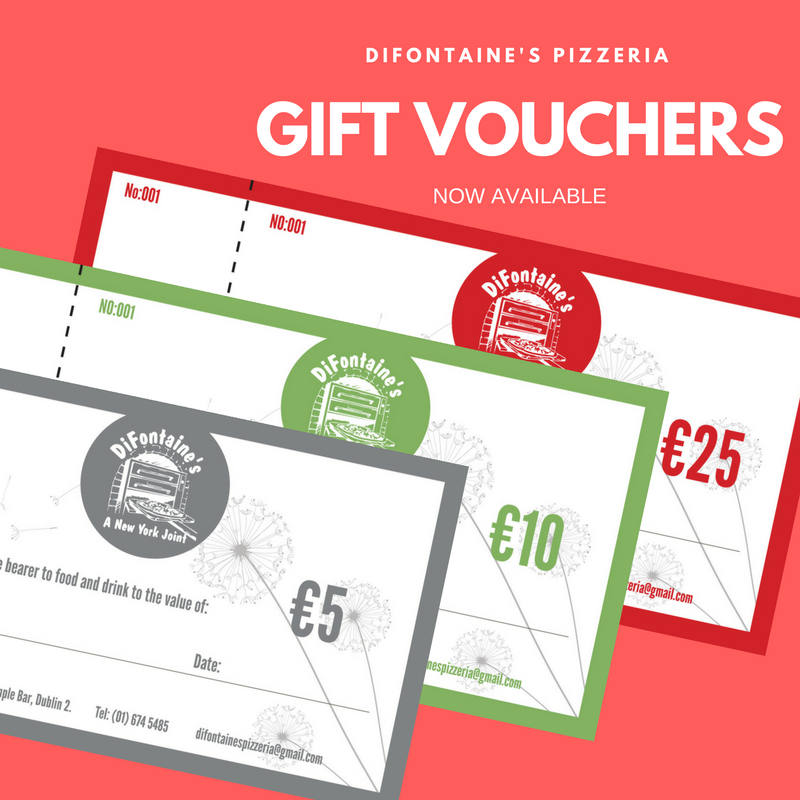 Well now you can put a sweet smile on their face with a gift of a voucher for DiFontaine’s Pizzeria. They’re available in denominations of €5.00, €10.00 or €25.00. Use it as a token pressie to say thank you for something nice that they did and they can enjoy one of our HUGE pizza slices for as little as €3.50 – with a selection of toppings that will please everyone. Or maybe you’d like to treat them to a whole 20″ pizza pie! Maybe you have student’s in your life? Wouldn’t it make the perfect gift to send them off to college with! They could treat themselves to a slice of pizza once a week perhaps.